Most doctors don’t start earning a living wage until their 30s. Four years of undergrad, four years of medical school, three-to-five years of residency – that’s more than a decade of higher education before their first real job. Not to mention the tuition costs. On the other hand, doctors rank among the top earners of all professionals. 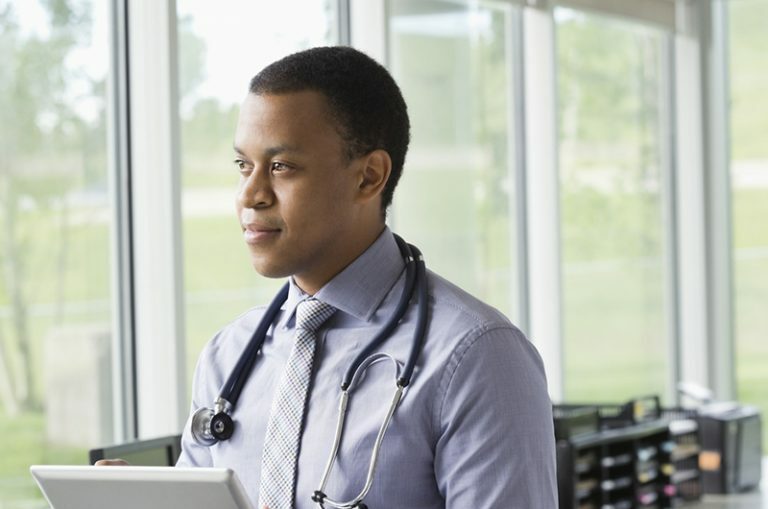 As a result, financial planning for physicians is a unique practice. Managing debt, starting a family, buying a home, saving for retirement and the cost of malpractice insurance are just a few of the considerations that impact a doctor’s financial journey. For purposes of examination, let’s look at a doctor’s financial lifecycle as three stages: Residency, The First Five, and The Prime Time. Following is the second in our series, examining four key issues that govern stage two. According to Forbes magazine, the average lowest starting salary for certain types of doctors is $189,000. This is a comfortable wage for most and one that can accomplish a lot in terms of wealth building. A first step to building wealth – and living free of financial stress – is getting the debt incurred during all those years prior to practice under control. There is the PSLF (Public Service Loan Forgiveness) program, which currently forgives student loans after 10 years of service, but I recommend paying off your student loans within five years. You’ve gotten used to living on a resident’s modest salary. Living off the same amount of income for another few years will allow you to pay off your student loans. If you can hold off for three to five years after residency, you will do better as time goes by. For example, if your student loan amount is $200,000 and you have a six percent interest rate, your monthly payment would be $3,866.56 per month if you were going to pay it off in five years. If you upped your payment to a flat $5,000 per month, you would be debt free in three years and eight months. With average starting salaries around $200k, after taxes, retirement contributions and other various deductions, you should be looking at a take home pay of $10,000 per month. If you are able to maintain a fairly modest lifestyle during this timeframe, the student loan payments won’t interfere too much. If your goal in life is to build and sustain wealth, then it is important to make significant contributions to your retirement. After your student loans are paid off, increase your 401k contributions up to the max, currently $18,500 per year. If you are a saver and have excess money sitting in your savings account, make IRA contributions as well. Your earnings most likely put you over the IRA contribution limits, but consider the Roth IRA for additional contributions. Due to contribution income limits on traditional and Roth IRAs, high earners must make “non-deductible” contributions to a traditional IRA, a limit of $5,500 after-tax dollars per year. But you can convert that to a Roth IRA with no tax consequences, assuming you do not have any other pre-tax IRA accounts. The benefits of a Roth IRA are significant because the earnings in the account grow tax-free and all withdrawals from the account during retirement are also tax-free. Additionally, if you do not need the money during retirement, there are no Required Minimum Distributions (RMDs), government mandated withdrawals from 401ks and traditional IRAs that are required every year after age 701/2. Depending on your new income and debt, it would be wise to have an insurance evaluation to assess how much life and/or disability insurance is appropriate. The first five years after residency might be the most important in terms of your overall effort to build wealth. Eliminating debt and getting into a savings routine will yield results. Regardless of the profession, getting rich quick doesn’t happen – unless you win the lottery. It takes time and requires a plan and the discipline to execute it. In the third and final article in our series for physicians, we’ll look at some things to consider after you have built your financial foundation. The topics discussed above are generic in nature and provided for educational purposes only. This article does not consider or address any individual’s circumstances, and as such, is not individual advice. Ian is a Financial Advisor in the Pittsburgh, Pennsylvania office of HBKS® Wealth AdvisorsAdvisors. Among his clients he counts several fellow professional football players and focuses much of his advisory business on players and others he has met through football.